Wow…here we are February 2015. I can not believe that my last post was on 4/29/14. I am so sorry that I have been away from my blog for so long. As I have said before, I love blogging. I believe that blogging gave me the confidence to start Dairy Goddess Farmstead Cheese and Milk. I never would believe that it would continue to grow and become what it has today. I am still running the dairy and Dairy Goddess. I am spread very thin and so the time for blogging has been difficult. 2014 was a great and exciting year. So many wonderful changes have blessed our life. I will break down the past year to get you up to speed. January 2014 – After 2 months of marriage, my daughter Tara, also my right hand in running the daily business of Dairy Goddess found out that she and her husband Shane would be having a baby. 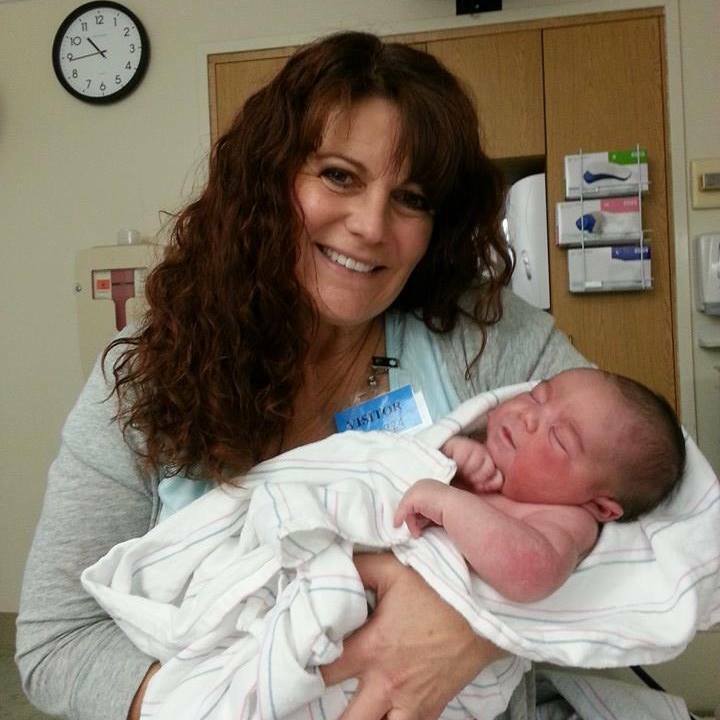 My first grand child. I can not tell you the joy this brought to all of us. I was craving a new baby to bless us and the start of the 5th generation on our farm. 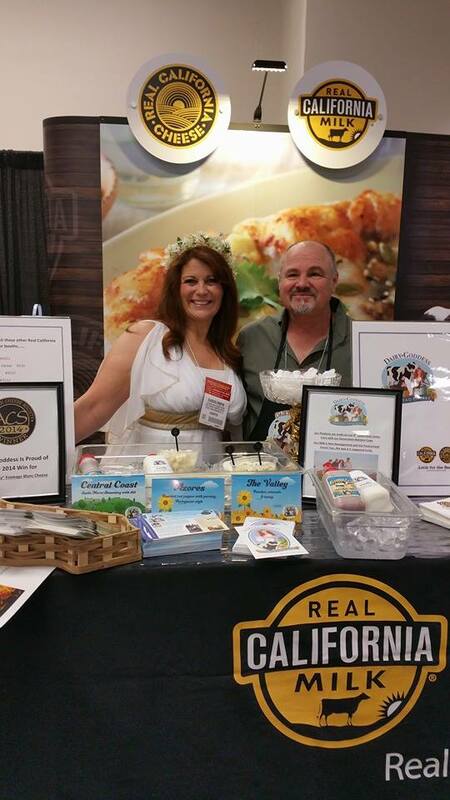 February 2014- We began making our California Style Curds in Plain and Seasoned. They are great as a snack and they melt beautifully and make a great addition to your favorite “cheesy” recipes. April 2014- Tony and I celebrated our 31st Wedding Anniversary. 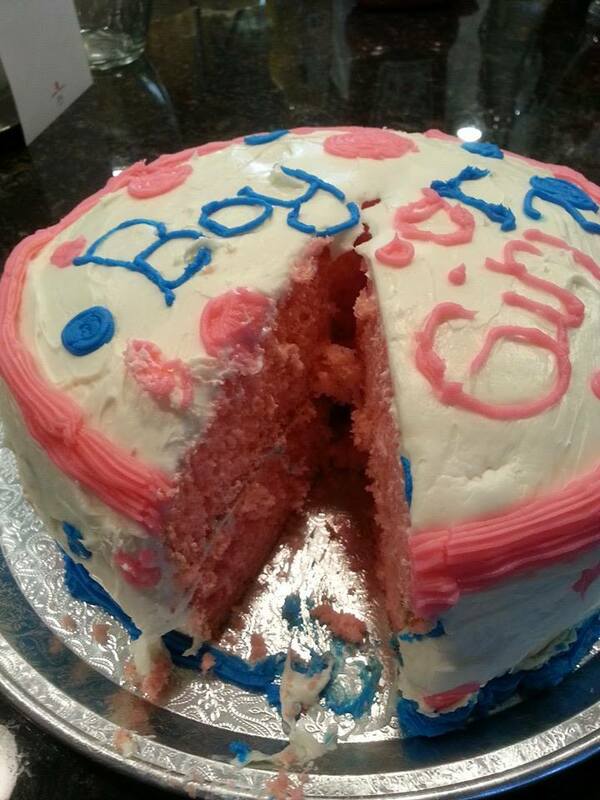 We also found out the our 1st grandchild was going to be a GIRL! 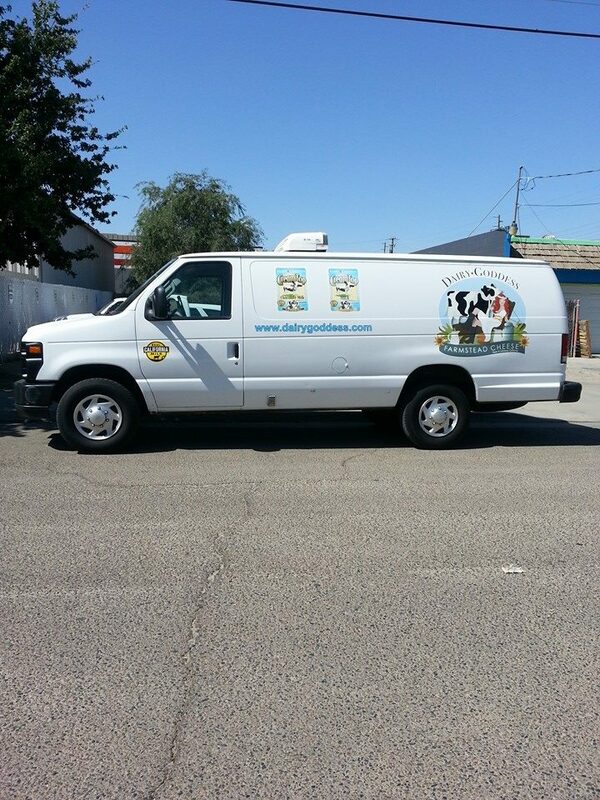 May 2014- We got our 3rd Refrigeration van, or as I like to call it…Chariot for Dairy Goddess to transport her goodness! June 2014- A.J. finds out that he was accepted as a transfer student for Veterinarian Medicine at Oklahoma State University. We were all so thrilled that he would be closer to home. 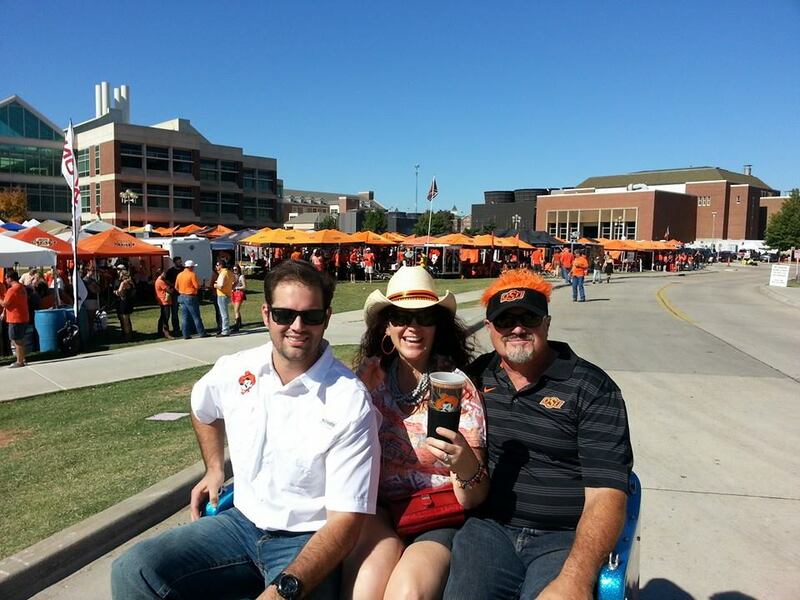 We knew at that moment that we would be able to go and visit which we did in October for OSU’s homecoming. What a blast that was and we were so lucky to get to go with my cousins, the Walton’s. Their son Brandon is completing his undergrad there. 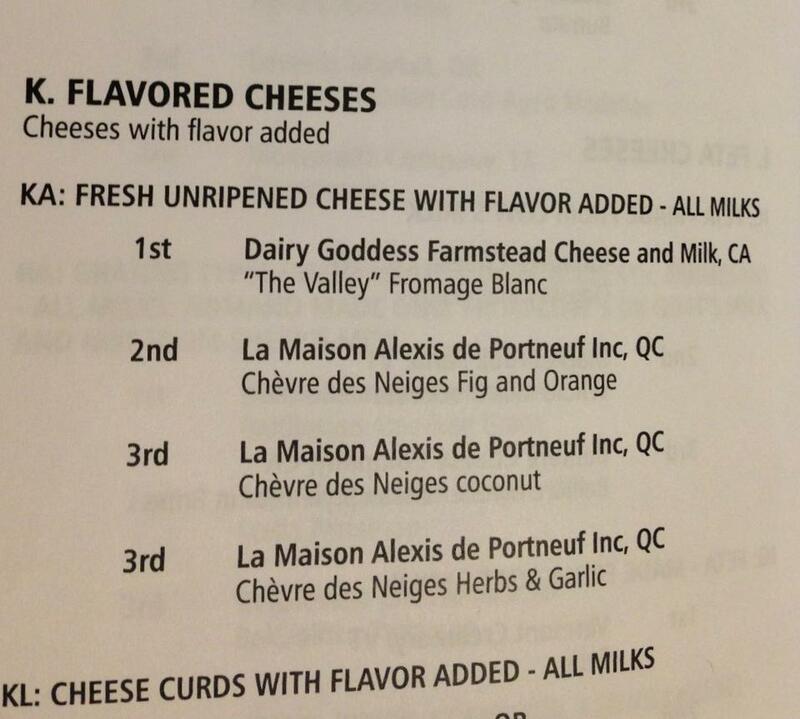 July 2014- Dairy Goddess Farmstead Cheese wins 1st place in the flavored-fresh cheese category for our “Valley” (Peaches, Almonds, & Honey) Fromage Blanc, at the American Cheese Society Awards in Sacramento, CA. What an honor! To win among the many other great entries made us so very proud. August 2014- Dairy Goddess celebrated it’s 4th year in business. 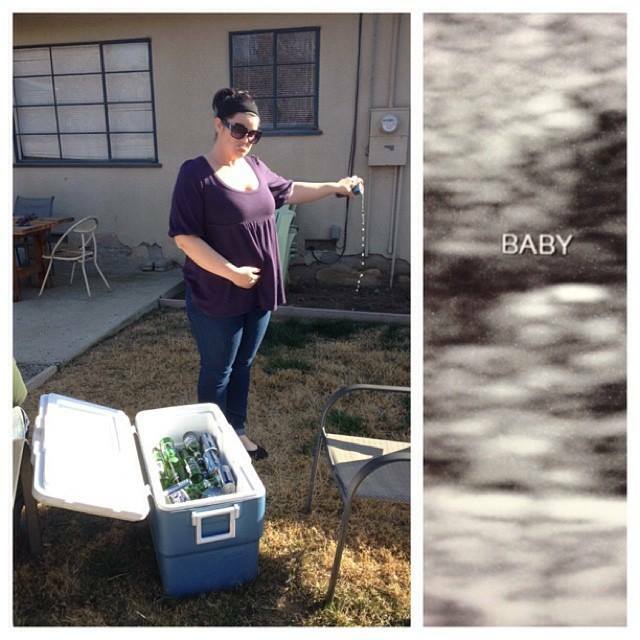 September 2014- It was all hustle and bustle for Dairy Goddess as we prepared for Tara and Shane’s baby to arrive. Tara does so much for DG so we needed our ducks in a row. We were all getting so excited to meet Baby Girl Rodrigues! October 2014- Finally on the 8th of October, God blessed us with our newest Little Goddess, Delilah Dolores Rodrigues. She was perfect. She completely stole our hearts and is the very center of our life. November 2014- It was only a month after Delilah joined our clan but we had prepared and completed a 3rd Party Audit for Dairy Goddess Farmstead Cheese and Milk. It was a two day inspection to make sure we are doing everything possible to bring our customers the best quality products produced in compliance of the state and major store chains. We also decided to upgrade our website and invite you to take a look at it. We are very proud of how it turned out. 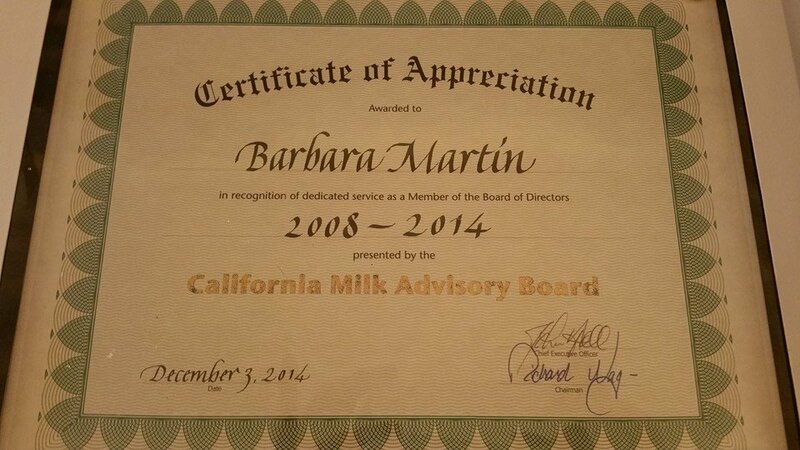 December 2014- I had made the tough decision to leave my Board of Director seat for the California Milk Advisory Board I loved serving the dairy farmers in California. It was important to me to be a voice for my fellow dairymen and to do my best to direct that our milk marketing dollars were being spent thoughtfully and assuring their hard earned money was being put to good use to market the milk that they produce. As Dairy Goddess has grown I realized that I would not be able to give 100 percent to that seat’s responsibility. We had a beautiful dinner and so many kind words were said and I truly felt appreciated for the 6 years that I had served. January 2015- We started 2015 with a bang! We baptized our sweet Delilah and then were off to San Francisco for the Winter Fancy Food Show this is the largest food and beverage show on the West Coast. It was amazing and felt very successful. We could not believe how many fabulous products from around the world that were there and how large the show itself was. We were proud to be a part of it. One of my New Years Resolutions is to blog more…I promise to work on that. I love sharing our life with you. I appreciate you taking the time to visit this blog and my website. I would love for you to like my Facebook Page too. That is a quick way to stay in touch with our latest shenanigans! One last thought. We are still in a terrible drought here in California. We have had a bit of rain and hoping for a wet February. We ask for you to keep us in your thoughts and prayers as all of Agriculture in California is suffering and if we do not get rain and also reform for water in this state it will affect us all. This drought is truly a crisis. Hello “Godd-etts”! Spring has sprung that is for sure. Many of our seasonal farmers markets begin shortly. We are always excited to start Hanford Farmers Market on Thursdays Old Town Clovis Farmers Market and Cayucos Farmers Market on Fridays. I thought I would share with you many of the Frequently Asked Questions at my markets and by my many store customers. I am always happy to answer any questions anyone has. If there is not one answered here…please just let me know. We have a nutritionist that works weekly with my husband to formulate the best diet for our cows. They use the corn and wheat and alfalfa we grow on our farm. They also get fresh citrus, almond, and other nutrients that are mixed fresh twice daily. Of course! Our whole goal is to create our animals comfort and well-being. Not only morally…but a happy cow makes more milk. We raise our cows in open corrals with shades available to them. On hot days they have soakers and misters to cool them and on hot days they have warm water for their wash up. Do you remove the calves from their mothers? They spend a few hours or longer with their calves (calves are up and walking almost immediately) and then the calves are placed in their private pen so that they will not be exposed to dangers. We also can better monitor them to make sure they are eating and drinking. They are monitored for about 45 to 60 days when they are moved to age appropriate group pens. Do you raise your bull calves? Do your cows have hormones? Is there antibiotics in your milk? Our milk as in all milk is tested numerous times as in compliance with the government and our cooperatives. Cheese will not make if there are antibiotics SO of course we do not! Do you treat your cows with antibiotics? Yes. Only if necessary. As we did with ourselves and our children. They are often similar medications. We have a “hospital” pen where they are monitored and the milk for the ill cows is discarded. Dairy Goddess Is “Culture-al”- Try This Eastern European Cheese Spread. One thing I truly love about my business is all of the wonderful people that we get to meet and all of the things that we learn. 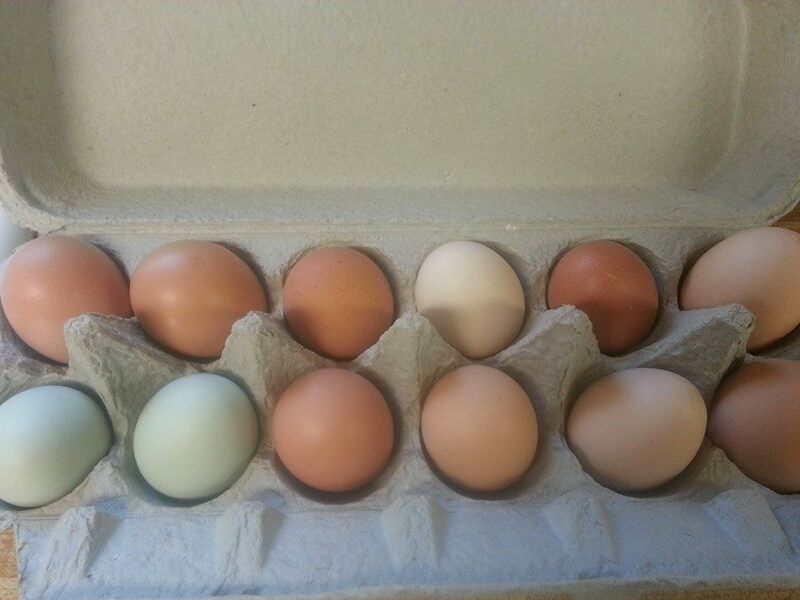 In our Templeton, CA Farmers Market (on Saturdays 9-1pm). A very nice lady shared with my “Little Goddesses” a wonderful Eastern European dish called “Paskha” a Cheese Spread that she now makes with Dairy Goddess Fromage Blanc “Naked”. Being of Portuguese decent we have many traditional recipes but I am so happy to share this one that our sweet customer shared with us. She so kindly sent me a lovely note and pictures as well as a couple of recipes. Not only do I appreciate the recipe and kind words but I am so touched at the time she took to send it to me and asked that I share it with the girls. With that I decided to share it with all of my “Godd-etts”. I am using her recipe and also picture that she shared. THANK YOU very “MOOOOOch” Nancy J.! Happy Easter to you and yours! God Bless You All! *Prepare a bowl or a clean terra-cotta flower-pot, lined with a double layer of cheesecloth, (enough to cover the top). Place the mixture in the *bowl, cover with the cheesecloth, place a plate over this and put on a heavy stone or can. Refrigerate up to 12 hours. To un-mold, invert bowl over the serving plate, remove cheesecloth, decorate. I use blanched almonds in a design. Great for a lovely Easter Breakfast. You may need to double the recipe. (Shared so kindly by) NANCY J. Dairy Goddess Knows Butter Is Better! You Should Too! After a year and a half of planning…my daughter Tara celebrated her wedding to Shane Rodrigues on November 2, 2013. It was a perfect day. We could not be any more happy. We managed to run business as usual and Dairy Goddess Farmstead Cheese and Milk as well as Tony Martin Dairy continued with out a hitch. It took a team effort and prayer and we got it done. We appreciate all of the well wishes that we received and are grateful to all of our customers blessings and support. Along with getting back to reality I want to get back to my blog which has taken the back seat through all of this. It is no secret that I believe that we need to take our food back “old school”. Less processing, more natural. Keeping the integrity of the food that we consume for maximum benefit, the way it was intended. My cousin, Anita Caole, shared with me the Margarine VS Butter information. I thought it was fitting as we are getting towards the holidays with extra cooking and baking. We should be striving towards more WHOLE and NATURAL foods with everything in moderation. We have been on a dangerous path with the “mutilation” of food by processing. Read your labels….less is more! Besides, it just tastes better! I hope you find this information helpful. Please pass it on…many of us do not have any idea! It was a white substance with no food appeal so they added the yellow coloring and sold it to people to use in place of butter. How do you like it? They have come out with some clever new flavorings…. * it does not rot or smell differently because it has no nutritional value ; nothing will grow on it. Even those teeny weeny microorganisms will not a find a home to grow. Dairy Goddess Drinks Non-Homogenized Whole Milk and So Should You! I drink whole milk and eat full-fat yogurt, cream cheese, and sour cream. Sure, full-fat dairy products taste better than the skim/fat-free versions, but I don’t eat them for the taste. I eat full-fat dairy because it’s better for my health and my weight. Yep, you heard me right: I eat dairy products with all the fat god gave ‘em, and I do it because it’s good for me. 1. Our bodies cannot digest the protein or absorb the calcium from milk without the fat. 2. Vitamins A and D are also fat-soluble. So you can’t absorb them from milk when all the fat has been skimmed off. (This makes fortified skim milk the biggest sham of all — you can pump fat-free milk full of a year’s supply of vitamins A and D, but the body can’t access them). 3. Milk fat contains glycosphingolipids, types of fats linked to immune system health and cell metabolism. 4. Contrary to popular belief, low-fat and fat-free diets do not help prevent heart disease, and science has now revealed that the link between saturated fat (long villainized as a cause of heart disease) and heart disease is tenuous at best. 5. In fact, studies now show that eating saturated fat raises good cholesterol — the kind of cholesterol you want and need in your body. 6. The world’s healthiest foods are whole foods — foods that have not been processed. Why? The nutrients in whole foods have a natural synergy with one another — that is, they work best in and are most beneficial to the body when they are taken together (not when they are isolated in, say, beta-carotene supplements of Vitamin C capsules). So when you pull some or all of the fat out of milk, you throw its nutritional profile out of whack. Basically, you discard all of the health benefits when you discard the fat. 7. And last but definitely not least: healthy dietary fat will NOT make you fat. We’ve been taught for years that dietary fat is the root of all evil. But we need healthy fat in our diet for proper body composition and long-term weight maintenance. The key factor here is knowing the difference between good fats and bad fats (for more on good and bad fats and the role healthy fat plays in weight maintenance..
To put it more bluntly: homogenized whole milk isn’t whole. The dairy-processing industry decided that whole milk should be milk with 3.25% fat (raw milk straight from the cow averages between 4 – 5.5% fat). That way, no matter what cow produced the milk, after homogenization all the milk would taste the same. When you buy homogenized milk, you’re buying a whole food that isn’t whole — it’s had it’s fat removed, evened out, and injected back into it in an amount less than what appears in nature. So choose whole milk, skip homogenization, and enjoy! Well here we are in June already. Always a busy month. Between graduations, farming our corn and fathers day. On top of that it is “Dairy Month”. For a dairy farmer every day is dairy day, week, month and year. The cows need their food and milking everyday, 24 /7 the cows are on our minds and run our daily lives, but we love it and most of us agree it is our calling. 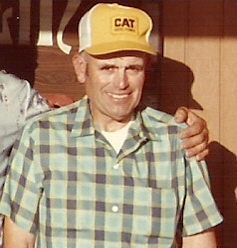 This is the 24th Father’s day without my Dad. I still miss him terribly, yet his legacy and passion lives within me. My Dad was not a man of many words. He liked his routine and was just happy to be in the barn with his beloved cows. We were pretty much polar opposites when it came to socializing and chit-chat. I think he thought me a bit quirky, a bit boisterous, and always on the go. I was just like my mother. It was a yin/yang thing. All I know is it worked. I truly think that my life growing up was as perfect as it gets. I had the best of both worlds. A free and easy, hippy style mom and a quiet hard working Dad that like routine and structure. We have all of these fancy terms for everything these days. I think that my Dad might have been termed, OCD. He was the cleanest person I have ever met. He spent so much of his time that he should have been sleeping, cleaning. He only slept about 4 hours a night. My first memories of my Dad was by his side…working and cleaning. You see I was the oldest, I know in his heart I was supposed to be a boy, thus his nickname for me was Bobbi. (He had married later and I was born when he was 35 years old). He needed a worker and well, I ended up doing just that. At four years of age he put steel wool in my hand and taught me to help him scrub the line. My very favorite memories was about that same time when he put me in the big stainless steel milk tank to help him clean it. He said that my hands were nice and small to get into the “crannies”. It was such fun slipping and sliding around. I remember we used a lot of cleaning chemicals. I told him, “Daddy I can’t breath”, he calmly said to me “it’s OK honey, just hold your breath”. I did just that. While others might not think that was the best parenting moment, it was one of my happiest times. My Dad was even picky about the color of his cows. He liked them mostly black with only a little white on the bottom. When asked why, he would simply reply, “They look cleaner like that”. He was known by many of this preference and any bull in his breeding program reflected this and any cow that was purchased had to fit that bill. (I am blessed to have a aerial photo of our dairy farm and his “Vacas Pretas” as he would call them in Portuguese are prevalent and a beautiful keepsake of our life). That desire for quality and cleanliness was passed down to me. A good product starts with the best quality milk. Once you have the milk, so pure and pristine, processing it must also retain cleanliness and quality. The importance of this has been passed onto me and I pass that on through my cheese and milk. So many people tell me that my cheese and milk lasts long after the “best by date”. I tell them that is because of our clean milk and processing. It makes me so very proud. I am so lucky that my husband also is a stickler for quality. It is, to my delight that my daughter, Tara, has also inherited that gene. I am so happy to have her heading up all of our production. I am sorry that my Dad did not get to see “Dairy Goddess” come to life. I know he would have just shook his head and smiled that crooked grin. My father told me out loud only one time that he was proud of me. That was on my wedding day. I always knew that he was, but like I said he was a man of few words. He did often tell me he loved me, especially towards the end of his life. There has been many times since his passing that I have heard him. When I had been lost in my thoughts or worried about this thing or that, his voice will pop into my head and say “I love you, Bobbi”… and then it’s gone, but that moment stays with me and I know that he is right here watching the whole thing. Our loved ones never really leave us. We carry them in our hearts and in our actions. We hope that all of the best parts that they gave us are then passed down to our children. Happy Fathers Day Dad….and to all you Fathers! Don’t forget June is Dairy Month…go on out and celebrate. Think about all of the hard working dairy farmers out there bringing you the best of what Dairy has to offer. Cheers…preferably a big cold glass of milk! Well, our busy season is upon us. Many of our seasonal markets are well on their way. I am also getting the opportunity to speak with the many store managers regarding my dairy and our products. As always we love to share our products and get to know our customers. We always are happy to receive and answer lots of questions regarding our farmstead cheese and milk. Well, the truth is my milk is special and different from most milks on the market. Not only is it because of our beautiful cows that God entrusted with us. Nor the fact that they are monitored around the clock to make sure they are happy and receiving the freshest most nutritious diet, along clean fresh water. The main difference in our milk is the way we process it and I am happy to share that with you! Dairy Goddess milk is non-homogenized, which means the butterfat molecules in our milk are left in their natural state. These relatively large milk-fat globules bind with nutrients (like vitamins A & D) found in the liquid portion of milk. The nutrient-carrying globules travel to the stomach and gut where they release the nutrients for use by the body. Milk fat, in it’s natural state, easily makes its way through the entire human digestive tract. Homogenized milk molecules on the other hand, are unnaturally small and misshapen. They haphazardly attach to nutrients, but unfortunately, pass out of the digestive tract and directly into the blood stream before the nutrients can be digested. Further, the destruction of milk-fat globules can lead to hardening of the arteries. While this is contrary to popular belief, some noted researchers and medical experts believe this to be the case. Robert Cohen, Executive Director of the Dairy Education Board, wrote in his article “Homogenized Milk: Rocket Fuel for Cancer,” in 2007, that the smaller, disfigured milk-fat globules produced during homogenization act like capsules for substances that bypass digestion. Not only are important nutrients lost into the blood stream, but hormones and pesticides used to treat cows and their feed, make their way to the human blood stream as well. Thomas E. Levy, M.D., further argues in his book on nutrition, that some enzymes are absorbed into the blood stream as well. One particular enzyme, xanthine oxidase (XO), reaches the bloodstream where it replaces a substance called plasmalogen in the arteries, and directly promotes hardening of the artery walls. But perhaps the most burning question is, “What danger do I risk if I drink Non-Homogenized Milk.” The answer is “none.” That’s right, homogenization has no known health benefits. Nor is it required by law. Milk is homogenized simply to give it a balanced consistency – more pleasing to the eye and no need to shake it. Milk in its natural state has a cream layer that floats on top of the liquid portion of the milk. Anyone who grew up on a farm, or before homogenization was common, will tell you that the cream is the most desirable part! And, as you are now aware, the cream also carries huge health benefits. Dairy Goddess is one of two dairies in California to use a low-temperature vat pasteurization method. This ensures our milk retains a majority of its enzymes, which are crucial for proper digestion and good health. 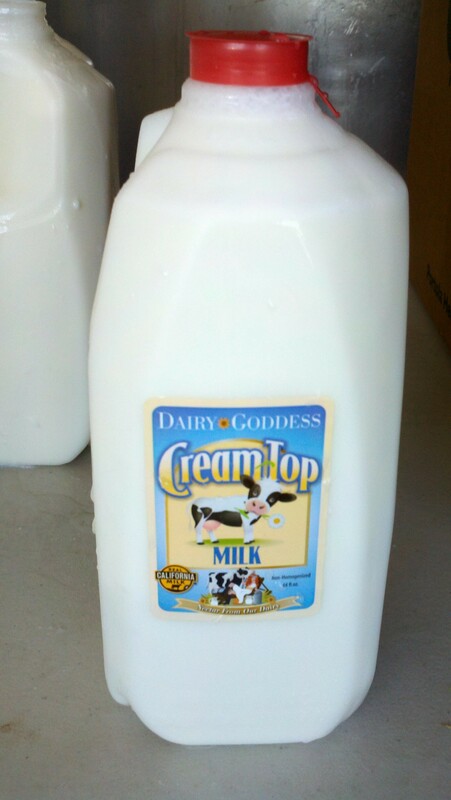 Dairy Goddess is the only dairy processing a Cream Top Chocolate Milk with vat pasteurization in the state! Pasteurization of commercially-sold milk is required by the U.S. Food and Drug Administration to ensure that harmful bacteria in milk is eliminated. Standard pasteurization methods utilize high-heat, high-volume methods that unfortunately kill beneficial enzymes as well as bacteria. Some milk is even ultra-pasteurized to the point that it can be stored without being refrigerated. Some in the dairy and health industries refer to ultra-pasteurized milk as “dead milk” because everything — harmful and beneficial – have been killed. Dairy Goddesses low-temperature vat pasteurization method allows us to heat our milk at a lower temperature for a longer period of time, eliminating harmful micro-organisms but leaving valuable enzymes untouched. During our pasteurization process, milk is divided into small batches and processed in our vat. The milk is heated in the vat to a temperature of 145o F (63o C). (The chocolate milk is heated to 150F) It is held at this constant temperature for 30-minutes. The milk is then cooled in a ‘plate cooler’. It is run quickly through small stainless steel tubing that is surrounded by cold water. The milk is cooled quickly and put directly in our cooler and ready to be delivered, fresh to you! So that’s it…less processed. More natural. The way things are supposed to be. We have been so geared to processing and long shelf life’s we don’t realize what value to us, nutritionally, we are giving up. Get back to basics…You will love the taste and your tummy will too! Dairy Goddess : Never Glamorous, Always Rewarding! Dairy Goddess Is At It Again! What’s Cookin’? Vanilla Milk, New Cheeses, AND A Grandbaby! Saving the world One Cowpie at a time!